The process of programmed cell death (PCD), or apoptosis, is generally characterized by distinct morphological characteristics and energy-dependent biochemical mechanisms. Apoptosis is considered a vital component of various processes including normal cell turnover, proper development and functioning of the immune system, hormone-dependent atrophy, embryonic development and chemical-induced cell death. Inappropriate apoptosis (either too little or too much) is a factor in many human conditions including neurodegenerative diseases, ischemic damage, autoimmune disorders and many types of cancer. The mechanisms of apoptosis are highly complex and sophisticated, involving an energy-dependent cascade of molecular events. To date, research indicates that there are two main apoptotic pathways: the extrinsic or death receptor pathway and the intrinsic or mitochondrial pathway. However, there is now evidence that the two pathways are linked and that molecules in one pathway can influence the other. There are many pathological conditions that feature excessive apoptosis and thus may benefit from artificially inhibiting apoptosis. 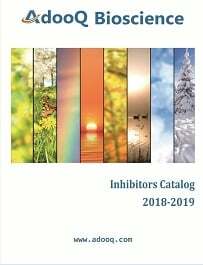 A short list of potential methods of anti-apoptotic therapy includes stimulation of the IAP (inhibitors of apoptosis proteins) family of proteins, caspase inhibition, PARP (poly [ADP-ribose] polymerase) inhibition, stimulation of the PKB/Akt (protein kinase B) pathway, and inhibition of Bcl-2 proteins. So far, members of the IAP family have been investigated as therapeutic targets for the treatment of stroke, spinal cord injuries, multiple sclerosis as well as cancer. The synthetic nonspecific caspase inhibitor z-VAD-fmk was shown to reduce the severity of myocardial reperfusion injury in rat and mouse models of myocardial infarction. Specific inhibitors of caspase activity may also prove beneficial.